The purpose of this blog is to help reconnect Bay Area Finns with local events happening in Northern California, particularly the Bay Area, creating better communication and event promotion through multiple authorship from local organizations. Fort Bragg Lodge Meeting TODAY!! Part of the Roxie Theater's BAY AREA DOCS series, American Vagabond tells the story of a homeless gay couple and their attempts to stay together against overwhelming odds. This documentary film follows the tail of runaway queer youth living in the shadows of the promised city. Following the film screening will be a Q&A moderated by film critic and San Francisco Film Critics Circle President Tim Sika, with Finnish filmmaker Susanna Helke and James Temple, the subject of the film. For more information, including a trailer, visit the event page here or the Facebook event here. This morning I will be on Capital Radio in Sacramento promoting The Otherworld Cycle. I look forward to seeing you all at 7:30 Wednesday Night at the UFKB&S Lodge 21 meeting in Berkeley and hope we can create a mutually beneficial program to hold for May. Time: 19:00 – 24:00 a.m.
Dec. 7, Kaisa broke into the winner's column in the biathlon pursuit. Domratsheva by a huge 77 points who was only 8th in today's heat. 58.5 seconds behind Johaug. Anne Kyllönen was eighth and Laura Mononen tenth. after a two-­year injury layoff by winning the Zagreb Open. best career win," said Lång. under the tutelage of veteran Finnish manager and fight promoter Pekka Mäki. steeplechase record during the season was dubbed Women's Athlete of the Year. Nikkanen with a new women's pole vault NR,was crowned Jumper of the Year. 12/7 @ 2 p in Berkeley "Finland’s Independence Day Celebration"
Finnish female conductor Susanna Malkki performs 2 pm Sun, 11/30 at SF's Davies Symphony Hall. on Tues, Dec 2nd at 6 p.m.
Book signing will follow the discussion. “How can we talk about each other with dignity and with truth?” This is the question Tim Jollymore poses in his presentation CHASING THE WINDIGO, a discussion of appropriation and fair use in fiction. Can men write women characters? Women men? 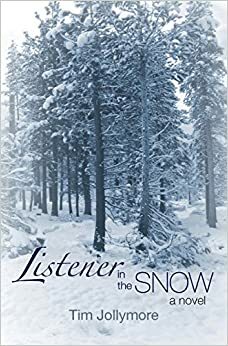 Listener In The Snow, Jollymore wonders can non-Native writers use Native materials and write Native characters in fiction? What are the outcomes? Using excerpts from American Indian essay and fiction as well as photographs, Jollymore outlines the difficulties, pitfalls, and positive results of the fair use of Native American lore and custom in contemporary writing as he revisits the text of his novel. Please do come & join the discussion on December 2nd. Contact me at sirpa@berkeley.edu with questions. FREE Finnish Film Tonight, "21 Ways to Ruin a Marriage"
While the fall nights are getting darker and the warmth is starting to flee, come witness the sparks of the unquestioned love flying all around the Dwinelle B4. Director Johanna Vuoksenmaa’s movie 21 Ways to Ruin a Marriage tells the story of a researcher Sanna Manner, who thinks marriage is an unnatural state for the 21st century people and interviews married couples on their wedding anniversaries to back up her dissertation “X ways to ruin a marriage”. 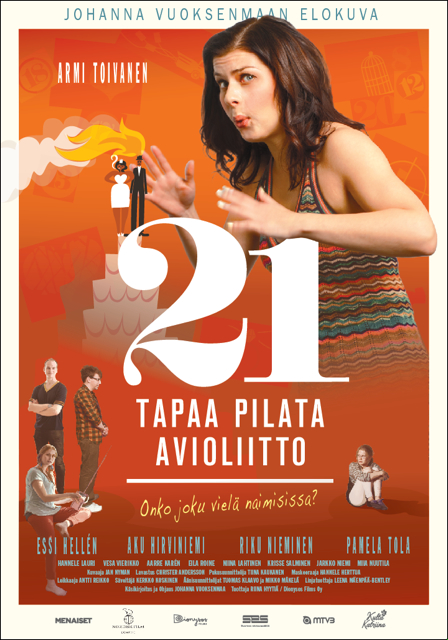 21 Ways to Ruin a Marriage was also one of the most watched movies of Finland in 2013 and it introduces the new generation of Finnish (comedy) actors like Armi Toivanen, Aku Hirviniemi and Riku Nieminen. Come and fight for love! Anu Vaalas 2.10. Art history "Gallen-Kallela in the Finnish Visual Arts scene"
Would you like these stories emailed to you? Subscribe by selecting the "Follow" icon, below.